I was very much surprised when I saw The King's Speech last week. Not surprised by the fact that it is immensely popular (both Bagehot in the Economist and Jonathan Freedland at the Guardian provides some cultural and sociological context, as well as critic against, what Bagehot calls, the preposterousness of it), but surprised by how bad it was, and how seldom you see a decent script almost ruined, and good actors almost wasted, as you do here. I don't know what went on during the making of the film, but a lot of the responsibility must rest on the director Tom Hooper. Granted, the script, by David Seidler, is sentimental and cliched but it is still an interesting story, full of nuances, and it plays nicely with the combination of physical and psychological therapy (and people who stammer have expressed their joy of having a film take their predicament seriously), but all of that is nearly lost in the haze of bad judgements and awkward use of the camera. As for the camera work and cinematography (Danny Cohen is DP), there was a strange shift of style and look from one scene to another. When they were indoor, it often looked like it was shot on a theatre stage, with weirdly large and square rooms. But sometimes, it looked as if the director and the DP wanted to out-do Stanley Kubrick by using fisheye lenses and very striking shots from long distances or from unusual angles. But then, when Lionel (Geoffrey Rush) and Bertie, the king, (Colin Firth) was walking in a park, it looked like a battle scene shot by Ridley Scott. Whatever the thinking was behind these various choices it wasn't thought through, because now it looked like a filmed play with some rather desperate efforts to "open it up", which instead made it look incoherent and unsure of itself. I'm not saying that every scene in a film should be shot the same way, of course not, but there should be same kind of rhyme and reason, and also some kind of connection between the content of the scene and the look of it. This aspect of overdoing it affected the acting as well. I'm not denying that there were some good scenes, but I felt that there was a lot of overacting, and that when a scene was supposed to be moving I wasn't moved, but rather thought to myself "aha, this is supposed to be a moving scene". There was too much emphasis and too much underlining of every thing that was said and done, even some short silences, as if they were performing on a stage and wanted to give the audience a chance to either applaud or laugh, when a joke had been made. There were also a lot of repetitive shots and scenes, sprinkled out through the course of the film, which suggested a lack of imagination. This is not to say that there were no redeeming factors. It was well-paced, and it was often rather funny, but even then with the somewhat annoying habit of making sure that the audience got the joke and had time to laugh at it. Some instances of the battle of wits between Lionel and Bertie were really good, and the script is more complex than a summary of the film will do justice to. And, as I said, with the story it is telling, both about Britain in what would be their "finest hour" and about a decent (although I wouldn't exactly call him "ordinary" as they do in the trailer) man fighting against an insensitive family and a handicap, it's no surprise it's such a hit. But it feels a little odd that the reviews, on both sides of the Atlantic, have mostly been all roses and few thorns, with the exception of the ever reliable Manohla Dargis at New York Times. The larger question here is if the audience and the critics are uncritical or unaware of the look and feel of the film (any film), or if they, unlike me, just doesn't care, as long as it is a good story? Complaints about how predictable a certain film is must be one of the most common types of complaints, directed against mainstream cinema in particular. Unpredictability is often seen as something good and artistic in itself. Having a twist ending is seen as a proof of hipness. The other week my parents, whom I were visiting, were watching some TV-series, and I saw a couple of minutes towards the beginning. I then guessed who would be shot and how it would end. I was 100% correct, without having any more information than those few minutes. That wasn't because the TV-series was in itself predictable, but because I made a split second calculation about what to me seemed the most plausible outcome, based on a variety of different facts and hunches. But had it ended completely differently, I wouldn't have been surprised (only less pleased with myself...). 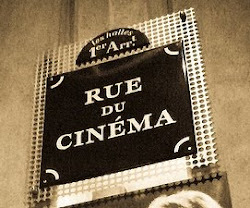 In what is often called "art cinema" or "non-classical cinema" (nonsensical terms), unpredictability is sometimes seen as a given, but the same rules applies here. A couple of examples that spring to mind are The Idiots (Idioterne 1998), where after a few minutes I correctly guessed why the main character was doing what she was doing, It's Voltaire's Fault (La faute à Voltaire 2000), where I pictured the last scene before me after a few minutes, and the same thing happened when I saw Shortbus (2006). (Which isn't to say I didn't like the films.) But if a film bores me, this is a little game I play. For example, when I saw Beyond (Svinalängorna 2010) I guessed who would die, when a car would drive off the road, when the music would come in, and so on, and I was never wrong. With these films, it's not that their stories were predictable, but again, as with that TV-series, I just made informed guesses based on a lifetime of watching films, reading books and observing people. And I suppose it is the same with most people when they're watching a film. Whether or not we find a film predictable depends on how knowledgeable we are, and how good we are at reading the signs in the films. Because there are almost always signs, put there by the filmmakers, sometimes consciously, sometimes unconsciously. A question though is what we mean when we say that a film is predictable. How much of what is happening in the film must we be able to guess in advance for it to be deemed predictable? Just the ending, or every action taken in the course of the plot, or does it differ from film to film? Perhaps we should say that there are different levels of predictability. The path of the main characters might be easy to guess, but not for the side characters. Or we might be able to guess how something will end, but not why. But, it could be argued that no film is predictable until after you've seen it. Not in the sense that all films will surprise you, but that you never know beforehand whether it will surprise you or not. Take such a formulaic genre as romcoms. In most cases they end happily for the couple involved. But quite a few ends with the couple going their separate ways, and if you've seen anyone if these, it should be enough to keep you in suspense. Maybe this particular film you're watching now is one of those that will not end with a harmonious union. Most romcoms of course will end well, whereas other genres are consistently unpredictable. Westerns, horror films and science fiction films all have their individual rules and regulations, but how they will end is not set in stone. It might end tragically or happily, or it might be an open ending. But if you pay attention when watching, you might guess, based on the mood and atmosphere in the film. But you will never know, not until the last shot. Or, in some cases, not even then. There have been many blog posts here about people who have died. It would be a sad thing if this film blog turn into an obituary blog. Now I just got word that Peter Yates has passed away, halfway between 81 and 82 years old. Steve McQueen saw it and was so impressed he brought Yates over to Hollywood to make Bullitt (1968), which of course is his most famous film, and something of a landmark in American cinema. The car chase is what made it famous, but what is remarkable with it is its attention to detail and outdrawn sequences, more in line with neorealism than a regular action film. The next one though was the love story John and Mary (1969), which I haven't seen but it didn't go down well with the critics at the time, although they did notice its efforts towards realism and away from glamour. The Hot Rock (1972) I have seen and it's a weird but strangely appealing film. That's also a crime film, as is the film Yates made after that, The Friends of Eddie Coyle (1973). It is one of the saddest films you're likely to see and takes place in the Boston underworld, with Robert Mitchum in one of his greatest roles. Another highlight in Yates's career is Breaking Away (1979), written by Steve Tesich, and partly based on Tesich's own childhood. It's about life in a small town somewhere in America, and the love of bicycling that keeps the main characters going. Yates and Tesich must have gotten along fine, because it was to be the first of three films they made together, the others being Eyewitness (1981) and Eleni (1985). I haven't seen as many of Yates's films as I would like, such as his fantasy adventure Krull (1983), but this might be an opportunity to fill out the gaps. As a way of paying tribute. And here's a clip from Summer Holiday, appropriate for cold and grey days such as today. I don't know when I first came across Pete Postlethwaite, but I know that for some fifteen years I've been a fan. And I know the last time I saw him, a week ago as the boss of the Charlestown underworld in The Town (2010), as intense and immensely watchable as ever. He was a ghost, an angel of darkness, in The Usual Suspects (1995), he was a very moving band leader in Brassed Off (1996), a big game hunter in The Lost World - Jurassic Park (1997) and so on. I wish I had seen more of him, but the films are still out there, just waiting to be watched, and watched again. Is it really accurate to call The Sugarland Express (1974) Spielberg's first film? He had after all directed several films for TV, one of which was so good that it got a theatrical release, Duel (1971). But Pauline Kael certainly considered The Sugarland Express to be his first, and she was very excited about it. In her New Yorker review she called it "one of the most phenomenal debut films in the history of cinema" and that Spielberg "has a knack of bringing out young actors and a sense of composition and movement that almost any director might envy". High praise indeed, although she did caution that "there is no sign of the emergence of a new film artist". Nora Sayre was also positive in New York Times, whereas Rogert Ebert felt that there was too little focus on the characters, which was frustrating because they were the kind you really wanted to know. Despite the good reviews and the fact that it is, well, directed by Spielberg, it's not necessarily a well-known film today. That is a shame because it's very good, and it has long been one of my favourites of Americans films from the 1970s, that glorious decade. It's based on a true story, about a young couple in Texas in 1969 who made a desperate attempt to be reunited with their 2 your-old daughter. She had been given by the authorities to a foster family, and by hijacking a police car, with a policeman, the young couple drive through Texas to the foster family to get the child back. There are three things remarkable with the film. One is that which Kael talked about, the "sense of movement and composition". It's beautifully shot by Vilmos Zsigmond, one of the greatest cinematographer of that time (and part of the movie brat gang) and makes great use of Texas's flat landscape and endless roads. This is in every sense of the words a road movie. The other thing is the performances in the car, especially Goldie Hawn as the mother, both frantic and naive. The husband is played by William Atherton and the policeman taken hostage is played by Michael Sacks. On the outside there is Ben Johnson, as Tanner, the policeman in charge of the pursuit. Tanner is a sad old man, with a strong sense of decency and fairness, but he just can't control the turn of events. And that is the third thing that is so good about the film, the turn of events. Even if it begins like a small, low-key event, it quickly snowballs into a national obsession and freak show, with people lining up to watch the young couple with hundreds of police cars and TV trucks following them. At one point an eager fan gives them a mini pig as a gift. By enlarging the scope Spielberg turns the film into a picture of America as a whole, as a country with an unhealthy gun fetishism and an almost lunatic fascination for celebrities and "outlaws". The young couple becomes heroes, primarily because they are in the news, and also perhaps because they are young. The gun fetishism features in many ways, including two crazy men who literally shots a whole parking lot to pieces in their effort to capture and kill the "outlaws". Their car has the sticker "Control communists, not gun-owners" (or something similar), and they are part of some kind of homegrown militia. Another example is the foster father of the couple's daughter, who insists that the police use his rifle to kill them should they reach his house. Tanner also has to battle his colleagues who would prefer to shoot the runaway couple as quickly as possible. Here society is to a large extent blamed for what happens to the characters in the film. That scene at the parking lot is quite formidable with its tension, emotions and humanism. The young couple try to relax for a few precious moments, and also to bond with the police man they've taken hostage, and they watch a Road Runner cartoon together. They laugh at it, but underneath the laughter is the feeling of the walls closing in, and watching the cartoon characters being shot and maimed is in the end not particularly funny, but all too close to comfort. All of this must inevitably lead to an unhappy conclusion, and it does. Cruel and pointless. And here, towards the end, comes one of the most moving images in Spielberg's career. A teddy bear that the mother has brought for her daughter is, when it's all over, tossed out through a car window and is run over by a line of police cars.